Bangalore is a city that is not only the biggest IT hub in the country but also education, commercial and residential hub today. This city has a lot to offer its inhabitants each and every day. If you want to live a modern and contemporary lifestyle, Bangalore is the ultimate place to be. The real estate sector in Bangalore has come a long way over the years and has a lot to look out for today. Shriram Summitt is a new residential project in Bangalore by Shriram Properties that offers a modern-day lifestyle that is nothing short of spectacular. Extended over 15 acres of land, this development consists of 17 blocks with beautiful structures that offer 1BHK, 2BHK, 2BHK+S and 3BHK luxury apartments that are totally Vaastu-compliant. The apartment area sizes start at 755 sq. ft. and go up to a whopping 1450 sq. ft., providing ample space for all your needs and requirements. Shriram Summitt Bangalore is a divine residential development that offers top-notch internal and external amenities that will truly satisfy your senses. The apartments are spacious and contain premium furnishings and fittings, vitrified flooring, laminated wooden flooring in master bedrooms, stylish kitchens with granite tops and other provisions, beautiful doors and elegant French windows, safety features and a lot more. 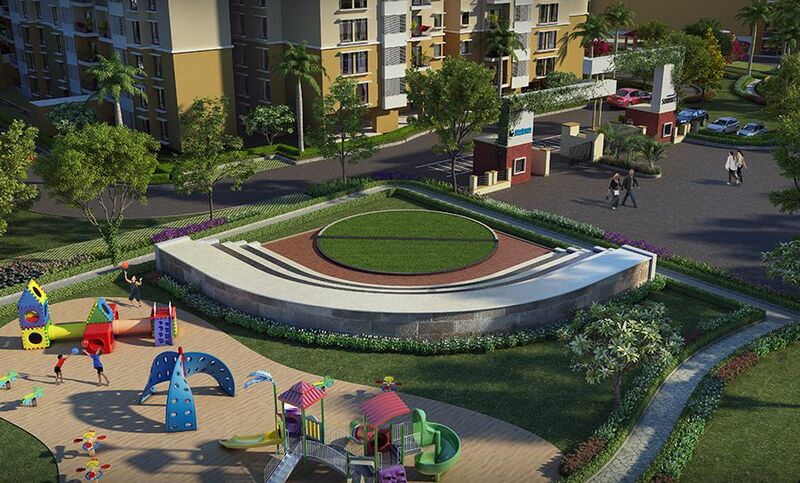 The external amenities at this development will always keep you active, healthy and entertained. They include a beautiful clubhouse, gym, swimming pool, sports facilities and a play area for your kids, meditation center, sit-outs, library, Wi-Fi connectivity, landscape garden, open space and high-end security. 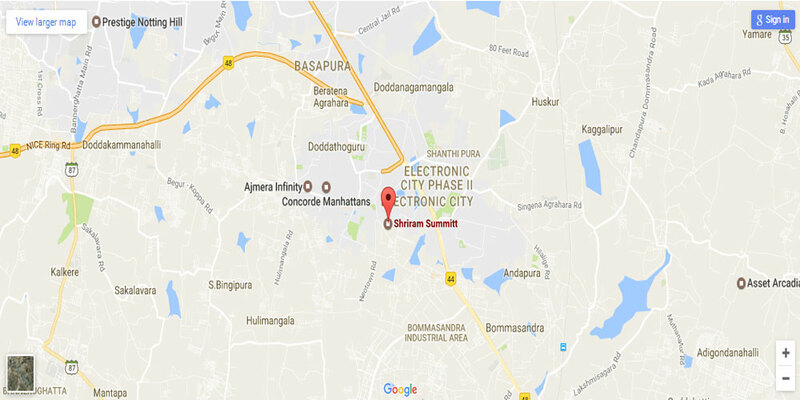 Located at Electronics City, Phase 1 in Bangalore, this development comes in close proximity to all of your everyday and emergency locations. You can conveniently find and access places like schools, colleges, hospitals, malls, multiplexes, shopping centres, supermarkets, cafes, restaurants, pubs, banks, ATMs, public transport and a lot more in the shortest amount of time possible. When it comes down to cost, the Shriram Summitt Price is affordable and will fit your budget perfectly Avail the special offers and deals available on the great prices range from Rs. 30.92 lakhs to Rs. 63.64 lakhs. A modern-day lifestyle at a low cost ... is that a deal you do not want to miss? Choose from a number of payment plans along with home loan facilities through associated banks, NRI services and more for convenient purchase. Are you dreaming about buying affordable luxury homes in Bangalore’s most prosperous commercial hub, Electronic City, get ready for this lighting deal Modern apartments are now ready-to-move-in at Shriram Summitt Electronic City project is known for its wonderful offerings and its proximity to the biggest MNCs in Bangalore city. Loaded with sophisticated interiors, these Vaastu homes provide complete ventilation to their users. 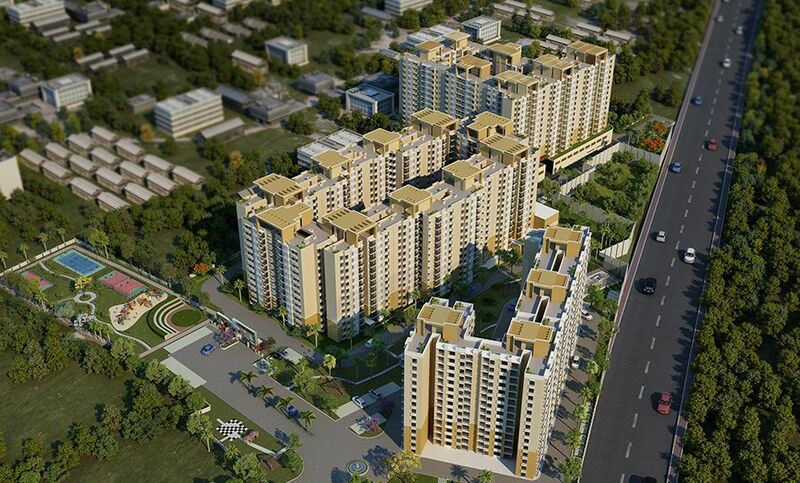 A wide range of luxurious amenities is making this township special among the other properties. These include a paved compound, crèche, convenience stores, day care center, Wi-Fi connectivity, party lawn, amphitheater, power backup, landscaped garden etc. Sanity Ware - Hindware from Italian-Floor Mounted closet.